Public beta testers will be pleased to know that the second iOS 12.1 beta has just become available for iPhones. The Tuesday, Oct. 2 update features an impressive 70+ new emoji for testers to enjoy, including bald emoji, emoji with red hair, gray hair, and curly hair, among many others, as well as a patch for iPhone XS and XS Max devices suffering from charging issues. 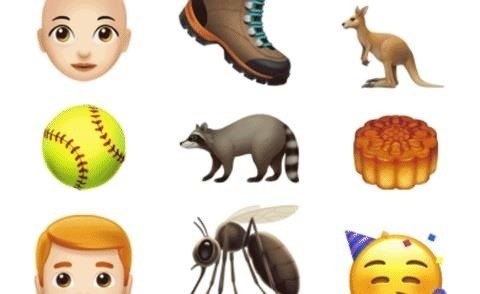 While iOS 12.1 dev beta 2 has already been released, testers were not truly the first to know about the emoji — Apple announced the new emoji via a press release, detailing many — but not all — of what users can expect from the new update. Apple's release notes for the 12.1 beta 2 updates do not indicate any features, resolves, or issues. Owners of a new iPhone XS or XS Max affected by "Chargegate" will be happy to know 12.1 beta 2 issues a fix for their charging issues. Chargegate saw affected iPhones unable to charge if the device was locked before being plugged in. Upon updating, these charging issues should disappear. To download and update your iPhone to iOS 12.1 public beta 2, you first need to be a registered public beta tester with a valid configuration profile. If you have iOS 12's new "Automatic Updates" enabled, you can let the software update overnight. To download the beta right now, however, launch the Settings app, select "General," then "Software Update." Tap "Download and Install," then follow the on-screen prompts to download and install iOS 12.1 public beta 2. Until these new emoji, iOS 12.1 had not been a "must-have" for iOS users wondering if they should jump on the beta program. The biggest known feature before today was the reintroduction of Group FaceTime, which allows all beta testers to chat with up to 31 other testers. Once the feature goes live, all users running 12.1 will be able to utilize Group FaceTime. In addition, iOS 12.1 allows users to choose a level of focus in Portrait Mode on the iPhone XS and XS Max before taking a picture. The 2018 iPhones only let you change the focus level after a photo has been taken while running iOS 12. In addition, 12.1 offers support for the Xcode 10.1 beta. If you don't know anyone else on the beta, or you don't use Xcode, feel free to stay on iOS 12 proper.